There are so many cool paper cards ideas! We have collected only the best ones for you. You can make these holidays really special by giving handmade cards to everyone you love! The first card design is really simple. Just a few cuts with scissors. However, all the magic reveals itself when you open the card - a cute Christmas tree is there! The same technique can be used for making a lovely snowman card. 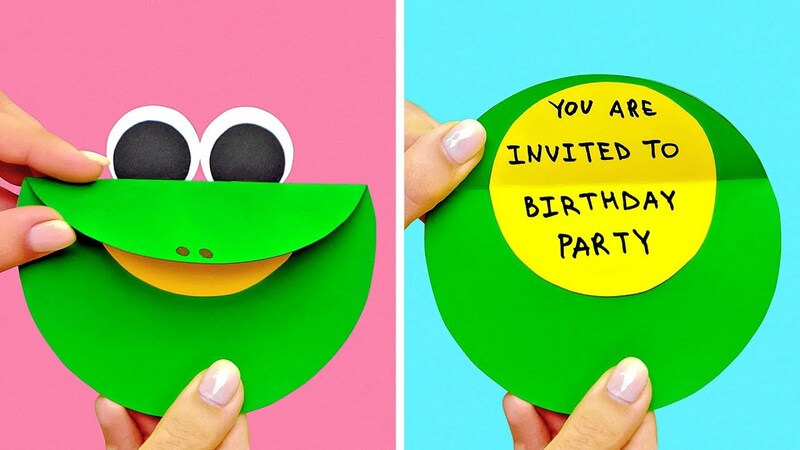 We know a cute and funny way to make lovely party invitations and we are happy to share it with you - funny animal faces can deliver your messages! Sticky eyes are a really cool option for those who like funny cards! You can make hilarious cards - check out our octopus and a minion! You can use cotton balls, jeans pockets, and even yarn for making your masterpieces. I would be delighted to get a handmade card, so will everyone! Watch this video up to the end and see how to make cool heart-shaped cards for those whom you love.